Congratulations to @lindahookart, @amy_michelle87, and Laura, giveaway winners! New readers (welcome! 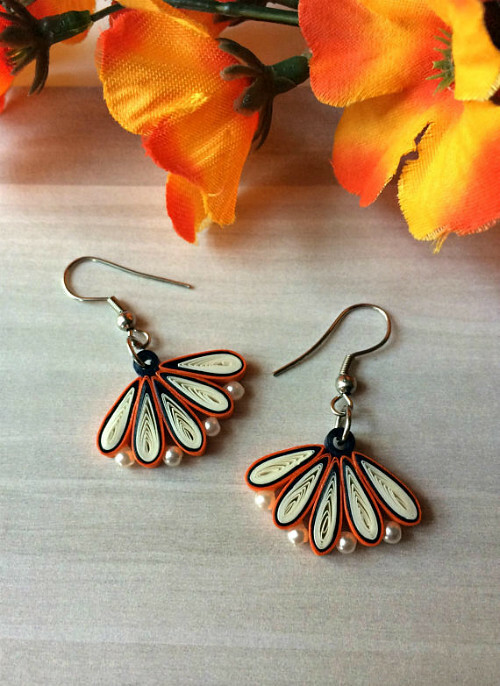 ), you might not realize what an avid fan I am of paper jewelry. 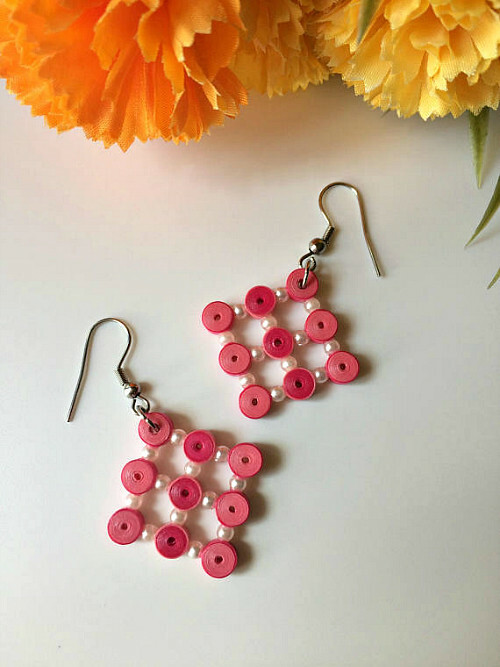 Lightweight, yet durable, quilled paper earrings simply make sense... they won't hurt your lobes or your bank account, plus they attract the nicest kind of attention. 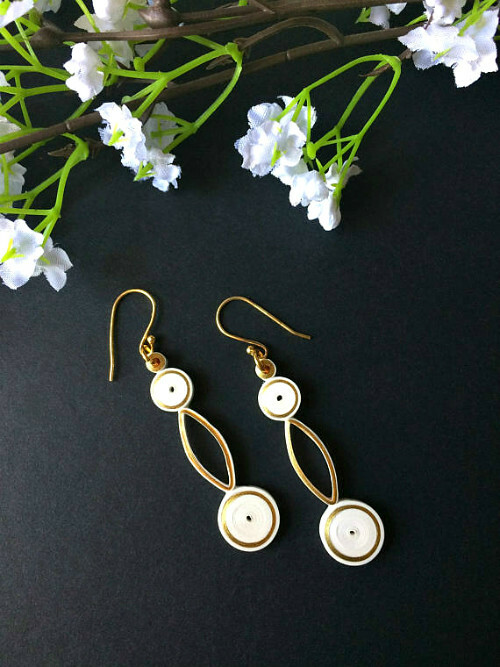 Filigratti is a new Etsy shop with a carefully crafted selection of on-trend paper earrings. I have been making rakhis for my brother every year for Rakshabandhan, an Indian festival where sisters tie a sacred thread (which is also embellished) around their brothers' wrist and pray for their well being. I painted a few sheets of paper, cut it into strips and rolled it into coils. It turned out to be a beautiful rakhi. 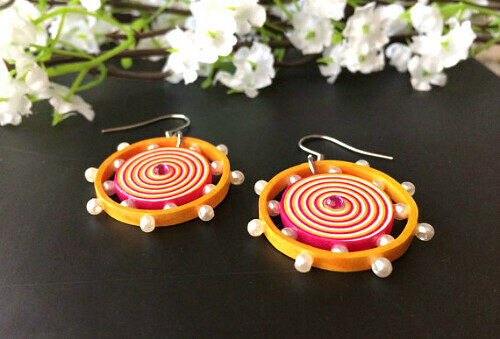 More than a year later I came across a quilled earring diy, and I thought she's used the same technique I had used to make the rakhi. Only upon reading the post did I get to know it was called quilling. And as they say, the rest is history. 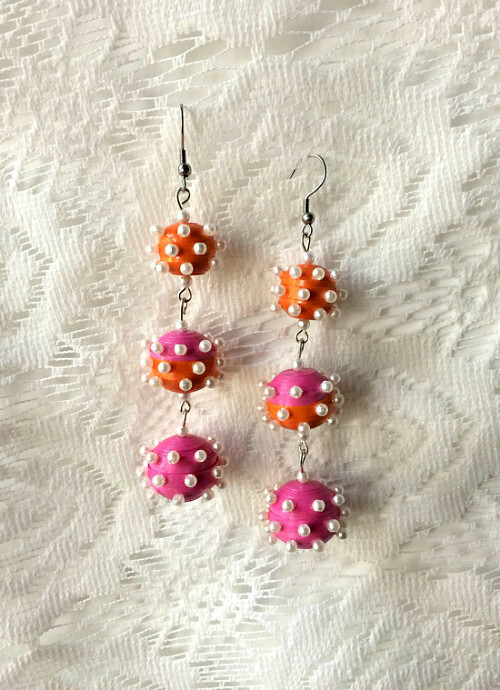 It's a joy for me to be able to create colorful, exquisite jewelry that can be worn all day long with absolute ease. 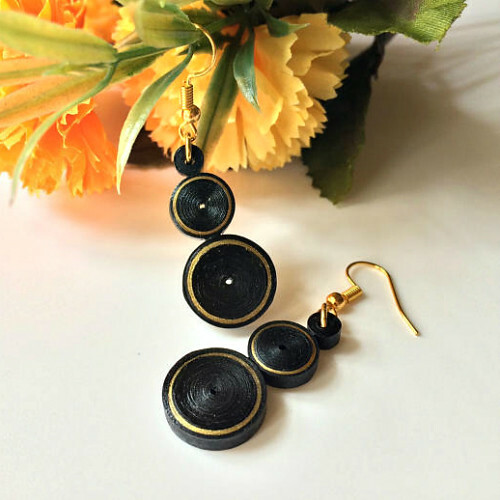 Niharika coats the earrings with multiple layers of non-toxic varnish, making the paper highly water resistant. While she doesn't recommend taking them for a swim or shower, if they do get wet, simply pat dry with a cloth or use a blow dryer for 10-20 seconds. Silver-tone earring wires are stainless steel or upgrade for a small fee to sterling silver. Gold-tone wires are gold plate on sterling silver. 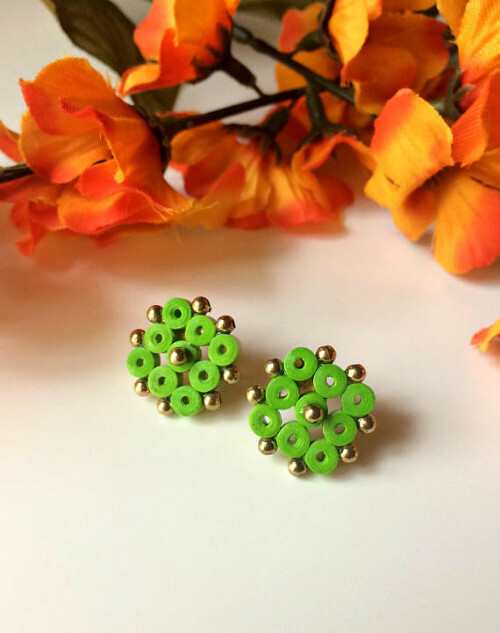 If you prefer different colors than shown, Niharika will create a custom pair for you. It's a three winner giveaway! 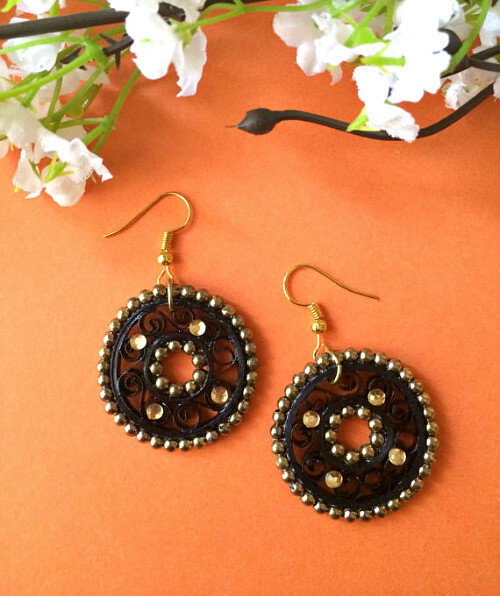 Niharika will be sending a pair of earrings with shipping included to three winners. Entrants must be a resident of the U.S., Canada, U.K., India, or Australia. 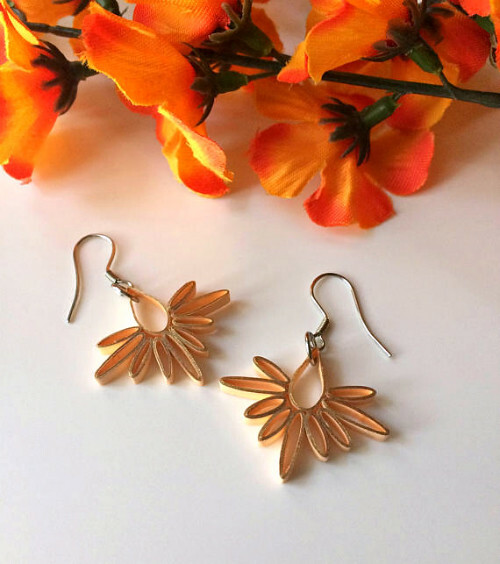 Each winner will select a pair of earrings of their choice from any pair in the shop! Actually, everyone wins because through March 12, 2018, all earrings in the well-stocked Filigratti shop are 25% off. Use coupon code FILIGRATTI5MAR! Plus shipping is free for U.S. residents. This same giveaway is also underway on Instagram. Enter at one or both places by the end of Saturday, March 10, 2018 to double your chances. Three winners from all entries will be chosen via a random number generator, contacted, and announced at the top of this post and on the Instagram giveaway photo. Good luck! Visit Filigratti where everything is 25% off the already reasonable prices now through March 12, 2018 with coupon code FILIGRATTI5MAR. Niharika blogs and is on Instagram, Facebook, and Pinterest. Would looove to pick a pair of earrings! debs_b_@hotmail.com. Thanks so much for all you do to highlight thework of fellow paper artists! These are all spectacular and I have already ordered a pair! I love that they are so lightweight! Definitely would love to win a pair! Thank you for the chance! These are all just lovely. Would love to own a pair. Thank you for the opportunity. These are so lovely! Thanks for doing a giveaway.